If you are starting with azure and you feel lost with the countless services it offers then you might want to check this link. 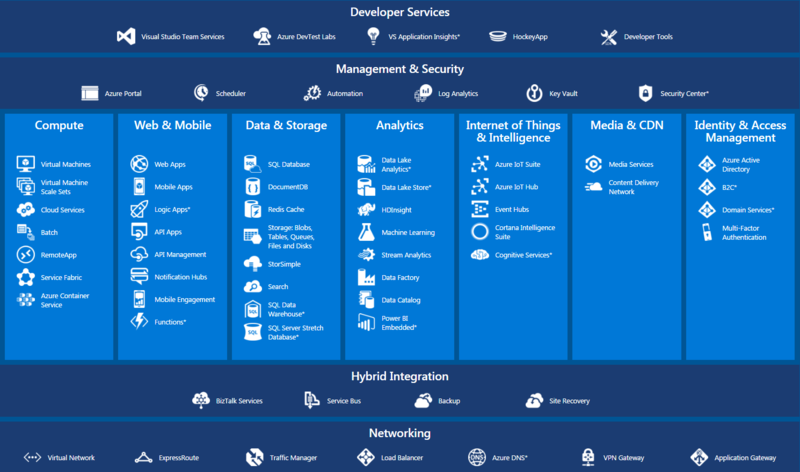 In a beautifully simple dashboard you can see quickly all the services Microsoft offers to Azure users. A brief description of each service plus helpful links to pricing and overview are within a click away.